In 2008, Angie Smith and her husband Todd (lead singer of the group Selah) learned through ultrasound that their fourth daughter had conditions making her “incompatible with life.” Advised to terminate the pregnancy, the Smiths chose instead to carry this child and allow room for a miracle. That miracle came the day they met Audrey Caroline and got the chance to love her for the precious two-and-a-half hours she lived on earth. Upon receiving the original diagnosis, Angie started a blog (Bring the Rain) to keep family and friends informed of their journey. Soon, the site exploded in popularity, connecting with thousands who were either experiencing their own heartbreaking situations or simply curious about how God could carry someone through something so tragic. 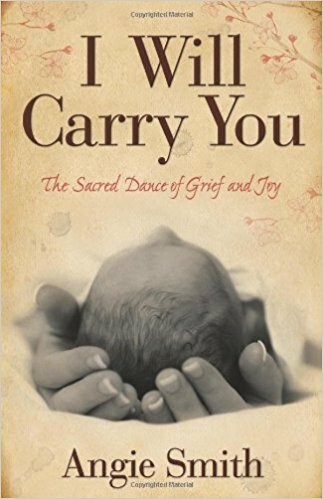 I Will Carry You tells the powerful story of a parent losing her child, interwoven with the biblical story of Lazarus to help those who mourn to still have hope—to find grace and peace in the sacred dance of grief and joy. Endorsement "This is a beautiful and tender book that would touch any woman's heart, no matter her age or realm of experience. It is about a relationship so intimate with God that it carves a safe place for crises of faith, for faith proved genuine and for divine callings willed, sealed and fulfilled. Yes, this is one mother's moving story. This one mother also happens to be a true writer. We will hear more from her. Angie, I am so proud of you. May Christ continue to tip the ink jar toward your gifted quill." The heartache of miscarriage, stillbirth, or infant death affects thousands of U.S. families every year. 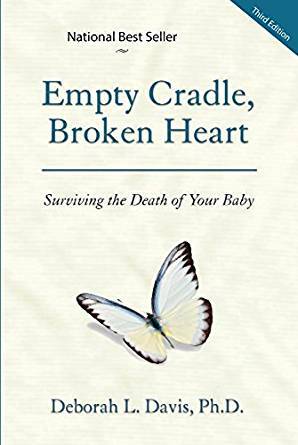 Empty Cradle, Broken Heart, Third Edition offers reassurance to parents who struggle with anger, guilt, and despair during and after such a tragedy. 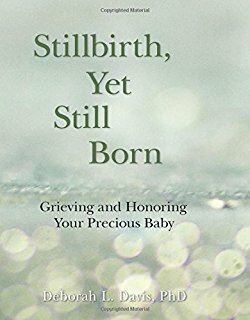 In this new and updated edition, Deborah Davis encourages grieving and strives to cover many different kinds of loss, including information on issues such as the death of one or more babies from a multiple birth, pregnancy interruption, and the questioning of aggressive medical intervention. There is also a special chapter for fathers as well as a chapter on "protective parenting" to help anxious parents enjoy their precious living children. Doctors, nurses, relatives, friends, and other support persons can gain special insight. Most importantly, parents facing the death of a baby will find necessary support in this gentle guide. Close to one in four American women experience the silent grief of pregnancy loss. 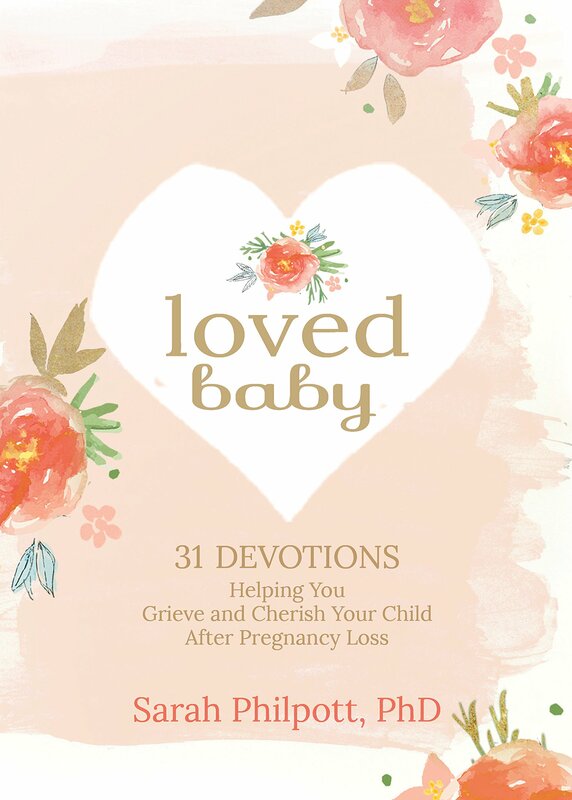 Loved Baby offers much-needed support to women in the middle of psychological and physiological grief as a result of losing an unborn child through miscarriage, stillbirth, or ectopic pregnancy loss. In Loved Baby, author Sarah Philpott gently walks alongside women as they experience the misguided shame, isolation, and crushing despair that accompany the turmoil of loss. With brave vulnerability Sarah shares her own and others stories of loss, offering Christ-filled hope and support to women navigating grief. This fresh and compassionate devotional offers: Real talk about loss Christ-filled comfort Tips to manage social media, reconnect with your partner, and nourish your soul Knowledge that your child is in heaven Strategies to walk through grief Ways to memorialize your loss Whether your loss is recent or not, Loved Baby can be your companion as you move from the darkness of grief toward the light of hope. 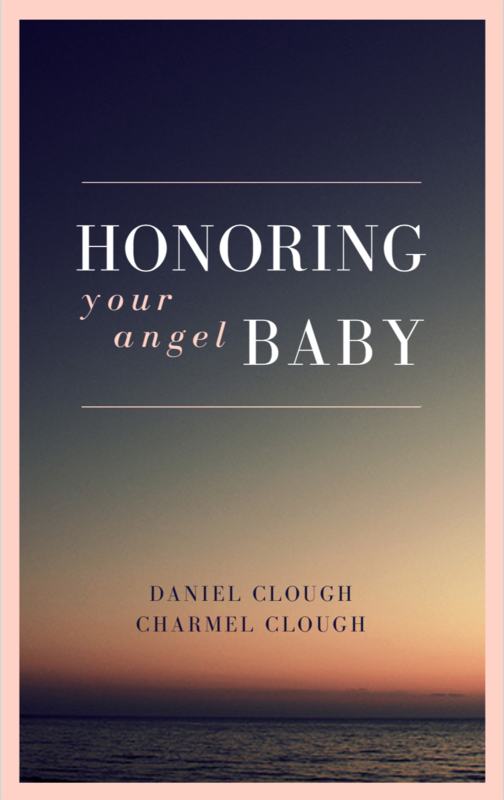 This small book offers tailored information and support to accompany parents through the early hours, days, and weeks that follow the death and birth of their beloved baby. It also offers strategies for enduring labor and delivery, and compassionate suggestions for spending time with the little one. Parents will find ideas for affirming and honoring their precious baby’s life. Your heart grieves. The tears won't stop. You sense bitterness and anger growing in you as you struggle between grief and trying to trust God through this part of your journey. No matter how hard you try, you can't seem to find the delicate balance between your grief and faith in God for the future. It is difficult to understand God's purpose in the death of a child. You doubt you will ever find peace, comfort, or understanding. Author Maegan Roper, who as walked this dark road, shares the light of hope she received from Christ as He restored her and brought her from grief to joy. Weaving portions of her own personal story with words of encouragement and Scripture, you'll begin to feel restored as you experience the same peace and understanding she found on her journey from loss to hope. A guide for parents whose child dies before birth, at birth or shortly after birth. This sensitive booklet is a help to families during the early days of their grief. It helps answer questions and prepare parents for the days ahead. It can be given to parents at the first acknowledgment of their baby s death to help them best use the short time they ll have with their little one. 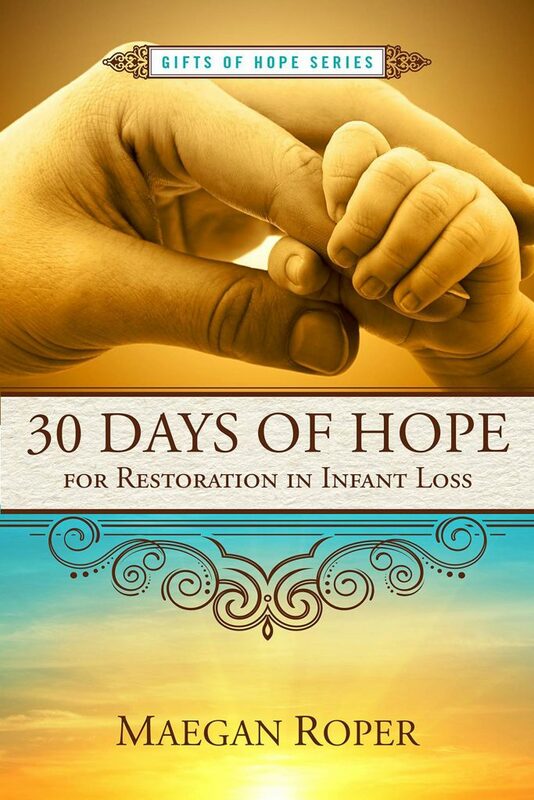 Among topics covered are: collecting keepsakes; ways to celebrate the birth and death of a baby; reasons for seeing, holding and naming a dead baby; emotions common to bereaved parents; information about autopsies; where to find help; and the unique situations of fathers, siblings, and grandparents. Contains beautiful poetry. Have you or someone you know experienced an infant or pregnancy loss?You are not alone.Always Within; Grieving the Loss of Your Infant is like having a caring and compassionate support group at your fingertips. It's a compilation of stories from people who have had to endure such a loss. Over twenty parents have dedicated their time and energy to recount the events of the moments before and after their losses to help guide and alleviate some of the pain and confusion often associated with an unexpected miscarriage and/or infant loss.Most parents who experience a loss of this nature have no idea what to do or where to turn. The loss of a baby can cause a lot of confusion. Always Within; Grieving the Loss of Your Infant is a stepping stone towards healing. Each chapter includes: *An individual heartfelt story to help inspire and comfort those who have lost or know someone who has. 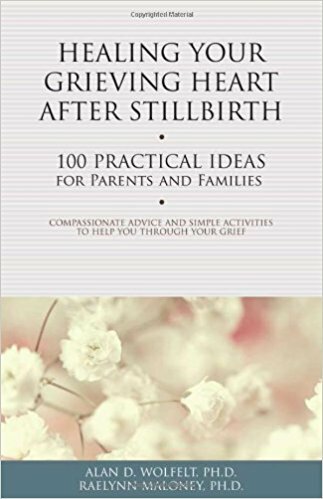 *Helpful advice from people who have been there, on how to cope with the devastating loss of a pregnancy or infant. *Thoughts on what family and friends can do and say to help during such a difficult time. *Ideas on how grieving parents can keep their child's memory alive through the years. *A comforting poem, quote or bible verse. Melissa Eshleman lost her four-day-old infant son, Lucas on May 20, 2001. She is a member of several infant loss groups and found that by helping others she was healing in the process. 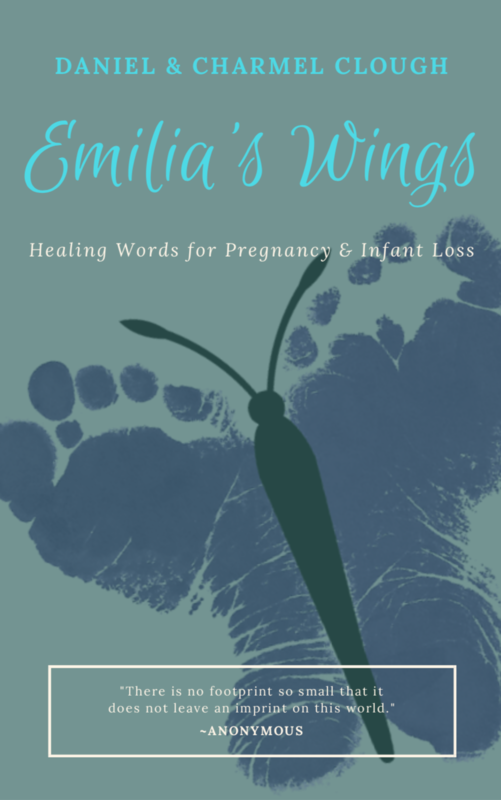 Melissa worked together with other parents like herself, who have suffered the loss of a pregnancy or infant loss to create this book of hope and healing. 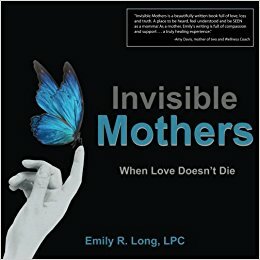 Invisible Mothers gives voice to the experience of love and loss for mothers whose babies have died during pregnancy or infancy. It chronicles the journey of mothers without any living children who must learn to continue living while grieving. Their arms are empty, but their hearts are filled with a love that does not die. Invisible Mothers shines a light into the unimaginable loss and sorrow as well as the courageous love of these amazing unseen mothers. For bereaved mothers, it brings comfort and compassion to let them know they are not alone in this journey. 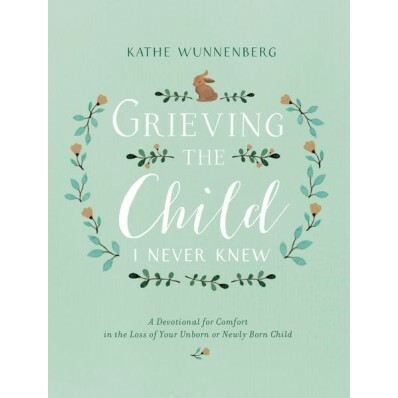 For family, friends, and professionals, it lights a pathway to gain a clearer understanding of how they can support and love the grieving mothers in their lives. "One-third of all women who conceive will have at least one miscarriage. This important book offers guidance for the sorrowing and helps them move on. It tackles the tough questions, including "Why did this happen?" and "Should we try again?" as well as exploring options for treatment and emotional healing. 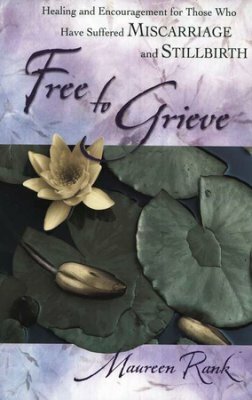 Free to Grieve has helped thousands of couples since it was first published nearly twenty years ago." "This is the happiest story in the world with the saddest ending," writes Elizabeth McCracken in her powerful, inspiring memoir. A prize-winning, successful novelist in her 30s, McCracken was happy to be an itinerant writer and self-proclaimed spinster. But suddenly she fell in love, got married, and two years ago was living in a remote part of France, working on her novel, and waiting for the birth of her first child. 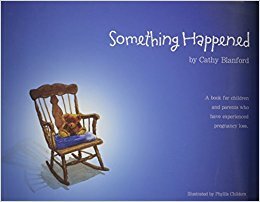 This book is about what happened next. In her ninth month of pregnancy, she learned that her baby boy had died. How do you deal with and recover from this kind of loss? Of course you don't--but you go on. 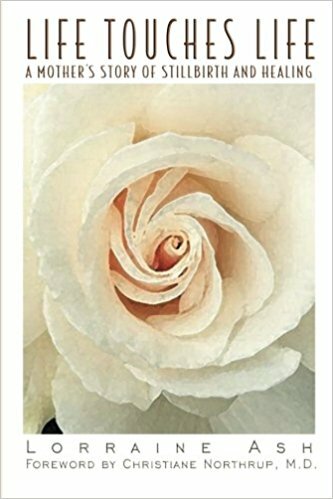 And if you have ever experienced loss or love someone who has, the company of this remarkable book will help you go on. 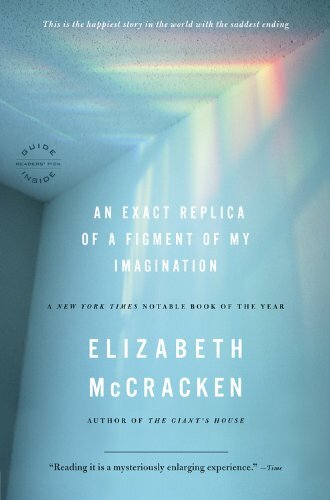 With humor and warmth and unfailing generosity, McCracken considers the nature of love and grief. She opens her heart and leaves all of ours the richer for it. Although 26,000 babies are stillborn in the United States every year, stillbirth continues to be a taboo subject. Life Touches Life shatters the silence that has hidden a bane as old as humankind. Lorraine Ash met that silence head-on when, after a trouble-free pregnancy, her baby was declared dead on what was to be her date of birth. After a C-section, Ash fought a fever that raged at 104 degrees and she almost succumbed to the silent B-strep infection that had robbed her daughter of life. Awed by the experience, which was to change her forever, Ash sought solace and perspective in all the old places and found little relief. In her book she tears down the walls of misunderstanding that isolated her in her hour—indeed years—of need. "Shattering the silence is essential if mothers are to integrate their loss into their daily lives," Ash writes. "A child who only existed inside her mother, can continue to spiritually exist there and the two can remain close." Ash discusses the inner changes she faced after the stillbirth of her daughter and delves into spiritual questions that shook her soul. The final message: Epiphanies emerge from the stuff of everyday experience. Hope is here. 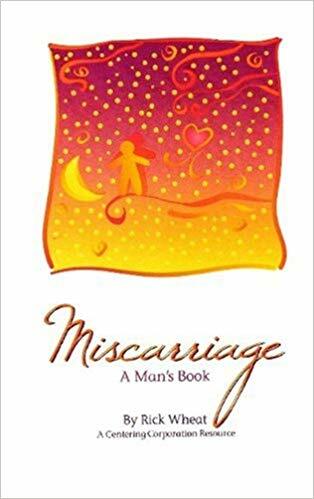 To those of you who have lost through miscarriage, the hope is that you find a piece of yourselves in the lines of this book and know you’re not alone. Heartache and brutal honesty, with a sprinkle of sass and humor, this is the author’s story. 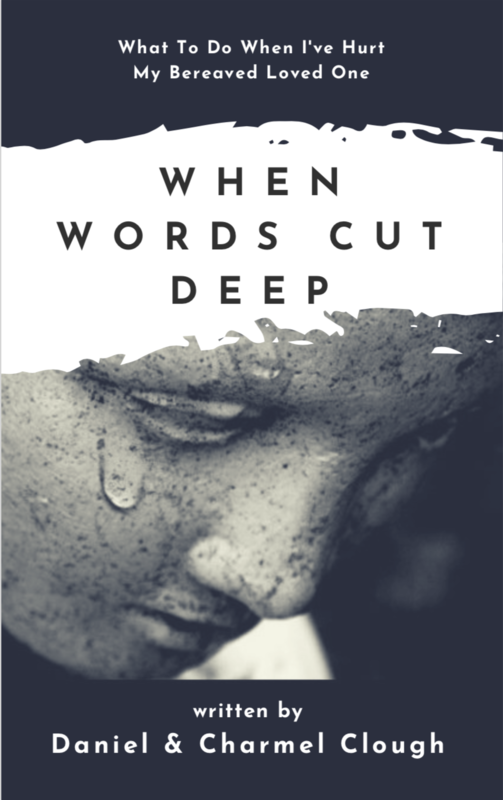 It’s a story of anticipation, love, loss, spiritual growth, and hope that she tells against society’s attempt to keep talk about miscarriage quiet. This book explores and dapples with a few challenges that arise when struggling to start a family, for it’s not a cakewalk for everyone. If you’re fortunate enough to be incapable of relating, hopefully Hahn’s words give you some insight into a complex world that most are afraid to talk about. A Surrogate for Heaven serves as a reminder that God is always good, even in the midst of excruciating pain and confusion. 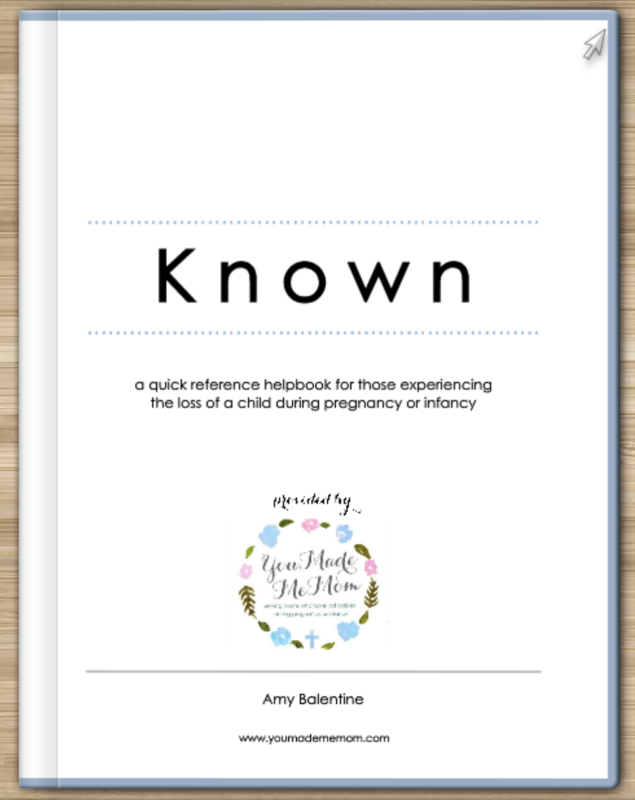 You Made Me Mom is honored to release our quick reference helpbook, #known, for those experiencing the loss of a child during pregnancy or infancy. 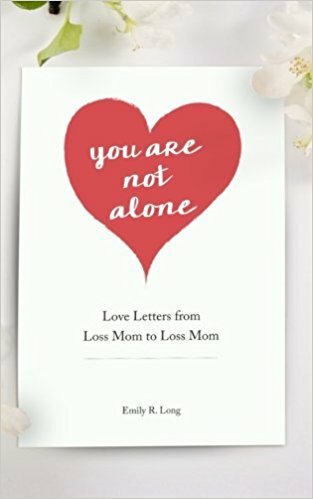 This book is for mom, dad, family and friends walking through this loss. 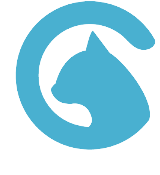 The format is intended to be basic and simple in order to help you find the best delivery options and memory making tools, while you navigate through a fog of disbelief. The prayer is for it to help a mother who just heard the words, "I'm sorry there is no heartbeat." To help her after she has left the sonogram room and preparing to labor or while she is laboring in a hospital bed. These are our favorite resources available at our fingertips. We are releasing today in honor of Amy Sullivan Balentine's son Simon's life and death (May 14-21, 2014). Glory to God. 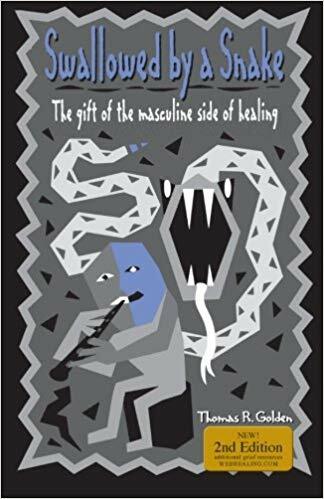 Swallowed by a Snake is a book for men and women about the masculine side of healing from loss. Discover new and powerful ways to heal. How the genders differ in their healing. Greater understanding between partners. Examples of successful transformation of loss. New ways to understand your grief. Ways the individual's loss can impact the entire family. Swallowed by a Snake is meant to be a map and a guide through the experience of loss. It will help you move through the pain of loss and into a place of healing and transformation. Two books in one. One half is for men who are grieving, with 12 helpful suggestions, each a chapter by itself. 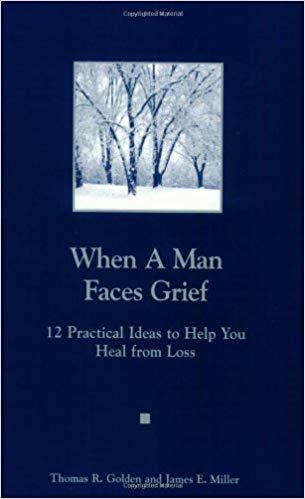 The other half is for those who want to understand and help men who are grieving, also in twelve short, helpful chapters. After the two of you have gone through this, you will be different people. You will know things about each other that you could not have learned any other way. You will have feelings and knowledge of yourselves that you would have never experienced. And you will be able to touch the hearts of others because you will have lived in your own. 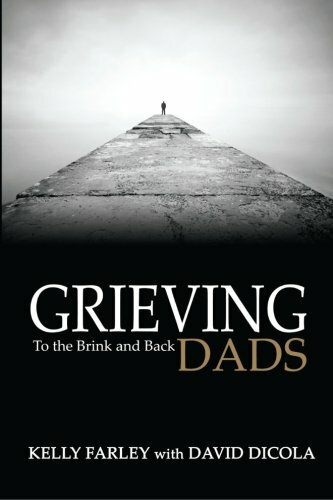 Grieving Dads: To the Brink and Back is a collection of candid stories from grieving dads that were interviewed over a two year period. The book offers insight from fellow members of, in the haunting words of one dad, “this terrible, terrible club,” which consists of men who have experienced the death of a child. This book is a collection of survival stories by men who have survived the worst possible loss and lived to tell the tale. They are real stories that pull no punches and are told with brutal honesty. Men that have shared their deepest and darkest moments. Moments that included thoughts of suicide, self-medication and homelessness. Some of these men have found their way back from the brink while others are still standing there, stuck in their pain. The core message of Grieving Dads is “you’re not alone.” It is a message that desperately needs to be delivered to grieving dads who often grieve in silence due to society’s expectations. Grieving Dads: To the Brink and Back is a book that no grieving dad or anyone who cares for him should be without. As any grieving parent will tell you, there are no words to describe the hell one experiences after the death of a child. Many men have no clue how to deal with or understand the myriad emotional, mental, and physical responses experienced after the death of a child. Stories appearing in the book have been carefully selected to represent a cross-section of fathers, as well as a diverse portrayal of loss. This approach helps reflect the full spectrum of grief, from the early days of shock and trauma to the long view after living with loss for many years. Any bereaved father will find brotherhood in these pages, and will feel that someone understands them. While there is plenty of raw emotion in this book—the stories are not exercises in self-pity nor are they studies in grief. They are survival stories instead. Some are testimonies to hope. Some are gut-wrenching accounts of overwhelming despair. 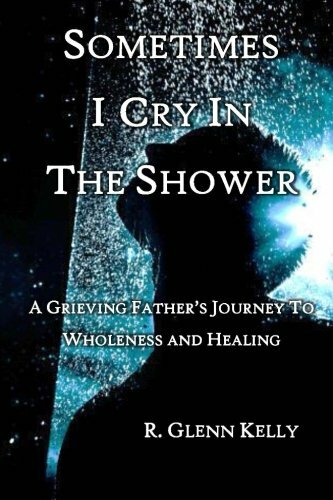 But all of them are real-life stories from real-life grieving dads, and they show that even if one reaches his physical and emotional bottom, it is possible (although not easy) to live through that pain and find one’s way to the other side of grief. 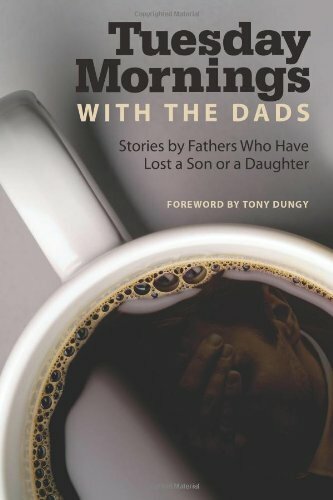 Most dads in this book found themselves in a state of physical, mental, and emotional collapse after the death of their child. As if the losses alone weren’t enough to drive these men to the brink, most try to deal with their grief according to the conventional wisdom so many men are brought up with, which perversely, increases their suffering all the more. We all know the party line about how men are “supposed” to deal with loss or even disappointment: toughen up, get back to work, take it like a man, support your wife, don’t talk about your emotions, don’t lose control, and if you must cry—by all means do so in private. God’s deep love and compassionate mercy had empowered me to live abundantly even in the midst of this grief and sorrow. If I looked closely enough, I knew I would see his tender fingerprints all over the minutes of my days and months of my years. I had only to begin looking. --From the bookBrad and Nina Stetson were expecting a healthy baby boy. But only days before he was due, the baby’s heart stopped. And so did life for this young, heartbroken couple.This intimate and powerful account of their loss, the crisis of faith they went through, and the genuine healing they experienced offers help and hope for couples who have faced the devastating pain of losing a baby. 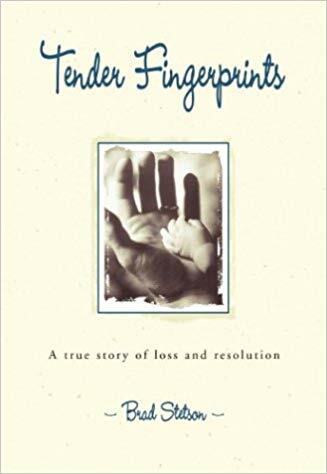 Tender Fingerprints is a moving, deeply personal meditation on the renewal of faith in the midst of sorrow and a fresh recognition of the preciousness of life. 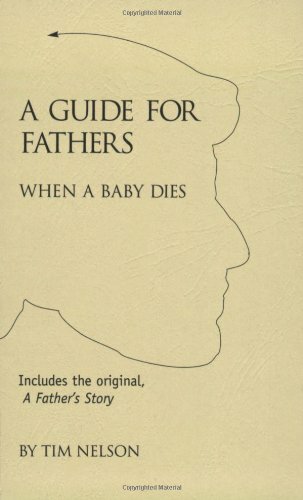 This pocket sized book is for men who experience the death of their infant child -- whether it be miscarriage, stillbirth or early infant death. Meant to be a guide during the early hours and days after finding out the news of their baby's death, the book offers suggestions for communicating with medical caregivers, offering support to their partner, telling the news to other children, making funeral arrangements and taking care of themselves in a time of crisis. It goes on to talk about effective communications during the weeks and months following the loss, going to a support group, returning to the workplace, and the issues surrounding a subsequent pregnancy. 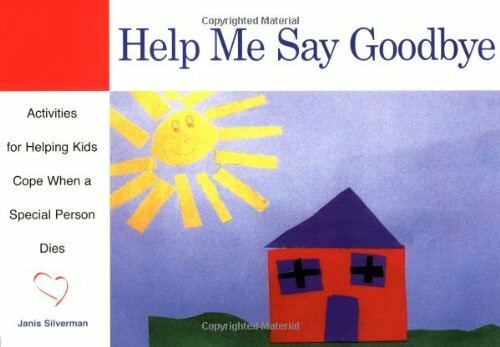 A new book from the author of "When Hello Means Goodbye." 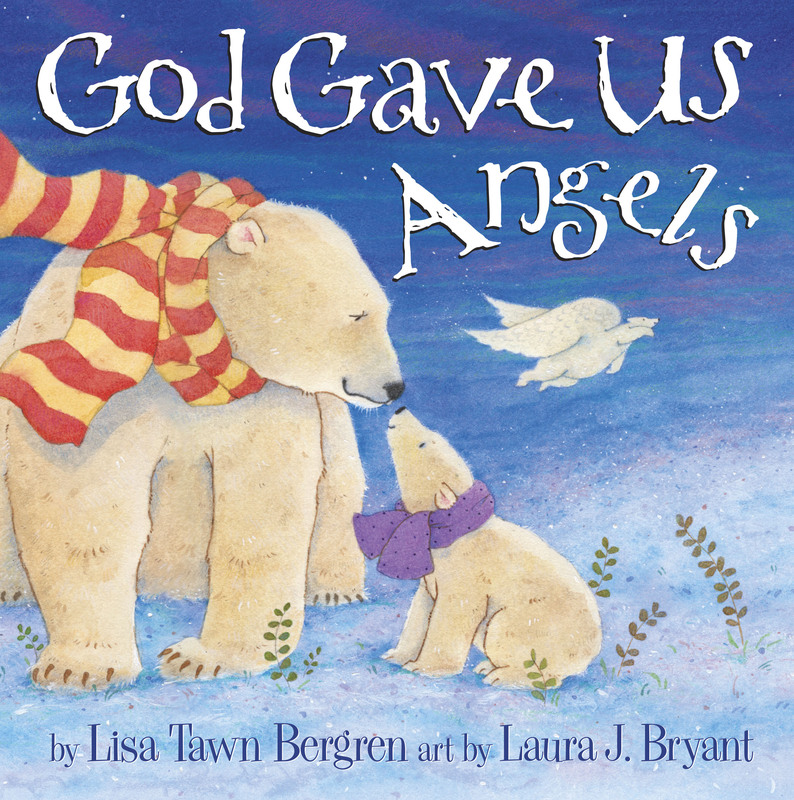 Created especially for children who are suffering the loss of their families pregnancy. 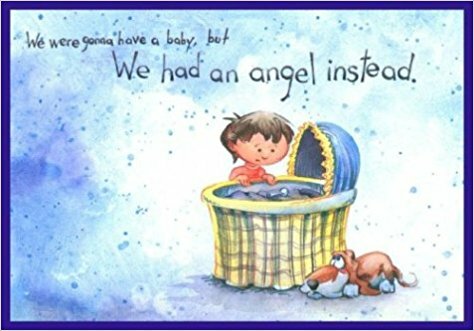 This beautifully illustrated, simple, clear story is designed to help a young child understand what has happened when there has been a pregnancy loss. 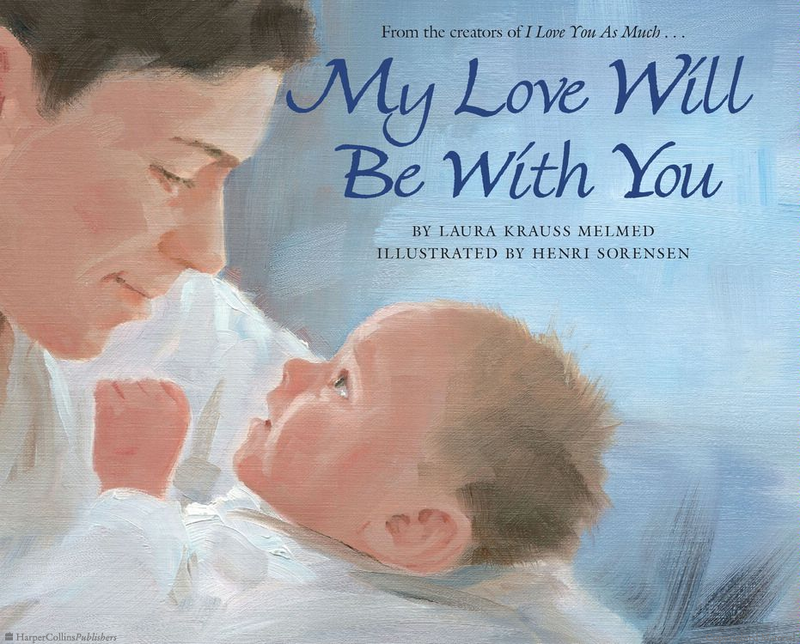 The book addresses the sadness that a child experiences when the anticipated baby has died. The child's fears and feelings of guilt are addressed as well as other confusing feelings. 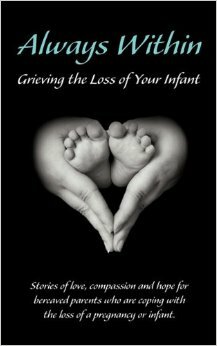 Perhaps most important, the book includes the family's experience of going on with life while always remembering their baby. The child reading the book is left with a sense of reassurance that life continues and he is still a vital part of a loving family. Most pages include a box with words for parents. These words are there to help parents understand what their child might be experiencing and why the particular illustrations and text were chosen. They are right there on each page so that the parents don't miss them and can easily scan them while their children look at the illustrations. Children who have experienced a death in their family are very reassured by stories of other children who have had a similar experience. It helps them to understand better what has happened in their own family while at the same time offering the comforting knowledge that they are not alone in their feelings. What do angels do all day, Papa?” When Papa finds Little Cub looking for angels, it gives him a chance to tell his beloved child about those that may be in their midst, even when they can’t be seen. Exploring their exhilarating Arctic world as they talk, Papa lovingly answers all of Little Cub’s questions about angels—and as usual, she has a lot. She wants to know what they do, how they look, how they guard God’s loved ones, and best of all, how they serve the Creator of the world. “God really created angels to serve him more than us, Little Cub. They love him and would do anything for him.” This uplifting tale will encourage young hearts by exploring the glory and design of God’s messengers, while turning toward him with praise. 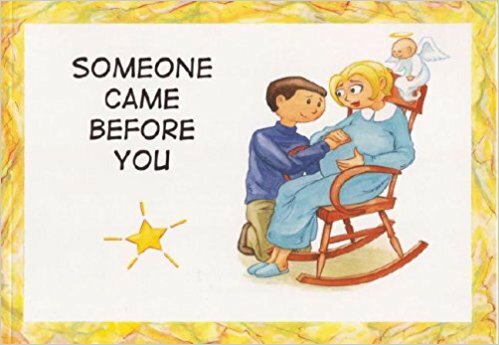 There are books for children to help them when the baby they are waiting for dies. And now there is a book for the child who comes after the one who died. It s a perfect gift just for them. It explains in a gentle way the parents desire for a child and the sadness that comes over them when that baby dies. It then shares how the parents, with the help of the baby, get to the point of wanting another child to come into their lives. The illustrator, Taylor Bills, who has an extraordinary gift of capturing feelings in his drawings that tell the story beyond words. Includes suggestions about keeping your baby s memory alive. 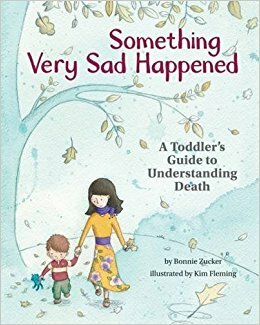 Something Very Sad Happened is a useful tool for parents, caregivers, therapists, and teachers to help young children understand the concept of death and begin the process of coping with the loss. 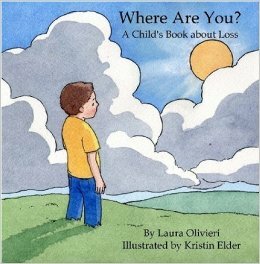 Intended for children ages 2 and 3, the book explains death and loss to a very young child in a simple and age-appropriate way. It also serves as a starting point for discussion when parents or other adults may be grieving. Includes a "Reader's Note" and "Note to Parents, Caregivers, and Therapists" written by the author. 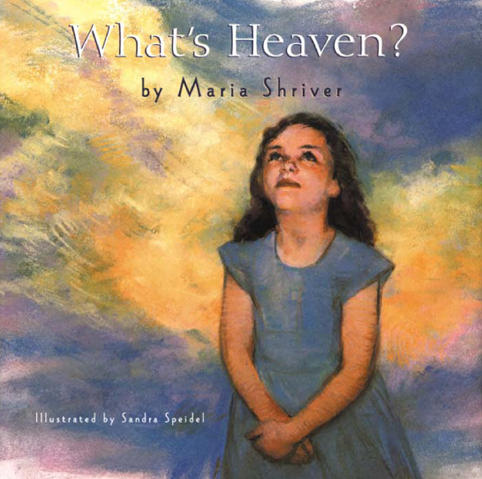 As the sun rises on her snow-covered world, Little Cub wonders aloud… “What is heaven like?” With tender words, her Papa describes a wonderful place, free of sadness and tears, where God warmly welcomes his loved ones after their life on earth is over. Little Cub and Papa spend the day wandering their beautiful, invigorating arctic world while she asks all about God’s home: How do we get to heaven? Will we eat there? Will I get to see you in heaven? 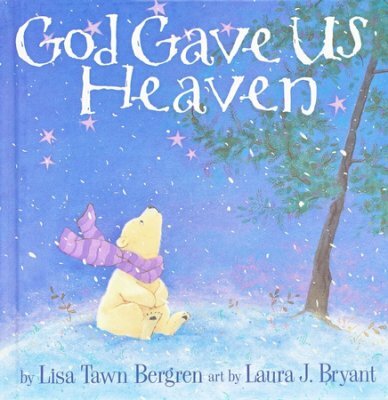 Papa patiently answers each question, assuring her that… “Heaven will be full of everything good.” This gentle story provides satisfying answers for a young child’s most difficult questions about what happens after this life, inviting “little cubs” to find comfort in knowing that God Gave Us Heaven. "That's impossible", said twins Jeremy & Liza after their Mom told them they're all connected by this thing called an Invisible String. "What kind of string"? They asked with a puzzled look to which Mom replied, "An Invisible String made of love." That's where the story begins. A story that teaches of the tie that really binds. The Invisible String reaches from heart to heart. Does everybody have an Invisible String? How far does it reach, anyway? Does it ever go away? Read all about it! 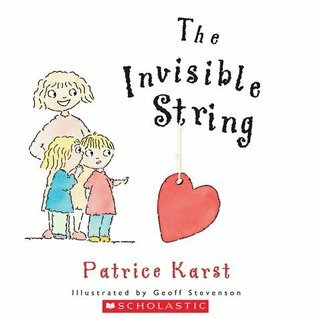 THE INVISIBLE STRING is a very simple approach to overcoming the fear of loneliness or separation with an imaginative flair that children can easily identify with and remember. Here is a warm and delightful lesson teaching young and old that we aren't ever really alone and reminding children (and adults!) that when we are loved beyond anything we can imagine. "People who love each other are always connected by a very special String, made of love. Even though you can't see it with your eyes, you can feel it deep in your heart, and know that you are always connected to the ones you love." Thus begins this heart-warming and reassuring story that addresses the issue of "separation anxiety" (otherwise known as the sense of existential 'aloneness') to children of all ages. Specifically written to address children's fear of being apart from the ones they love, The Invisible String delivers a particularly compelling message in today's uncertain times that though we may be separated from the ones we care for, whether through anger, or distance or even death, love is the unending connection that binds us all, and, by extension, ultimately binds every person on the planet to everyone else. Parents and children everywhere who are looking for reassurance and reaffirmation of the transcendent power of love, to bind, connect and comfort us through those inevitable times when life challenges us! 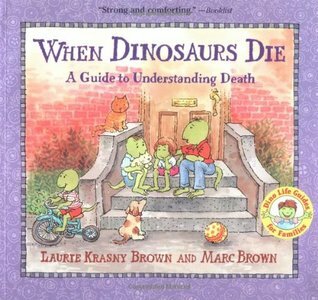 Straightforward and compassionate, When Dinosaurs Die explains death, dying, and coping with grief and loss in simple and accessible language for young kids and families. No one can really understand death, but to children, the passing away of a loved one can be especially perplexing and troublesome. This is true whether the loss is a classmate, friend, family member, or pet. Here to offer advice and reassurance are the wise dinosaurs from Dinosaurs to the Rescue, Dinosaurs Divorce, Dinosaurs Travel, and Dinosaurs Alive and Well. This succinct and thorough guide helps dispel the mystery and negative connotations associated with death. 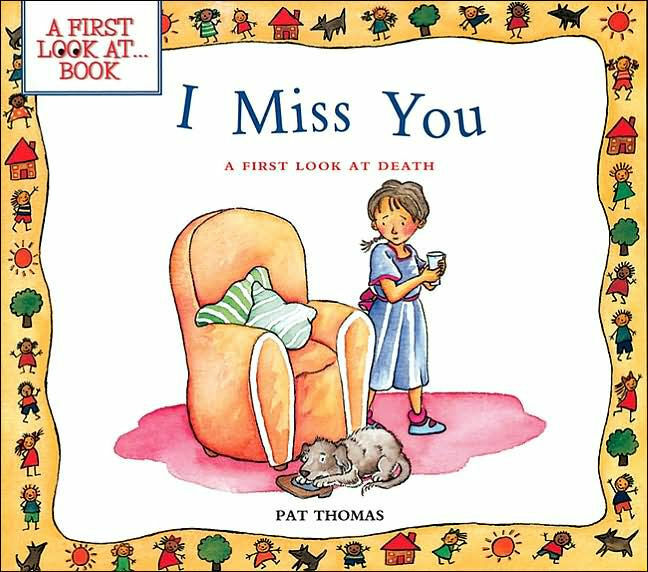 This helpful book provides answers to kids' most-often asked questions and also explores the feelings we may have regarding the death of a loved one, and the ways to remember someone after he or she has died. Satisfying and comprehensive, this indispensable book is a comforting aid to help all children through a difficult time in their lives. When a close friend or family member dies, it can be difficult for children to express their feelings. 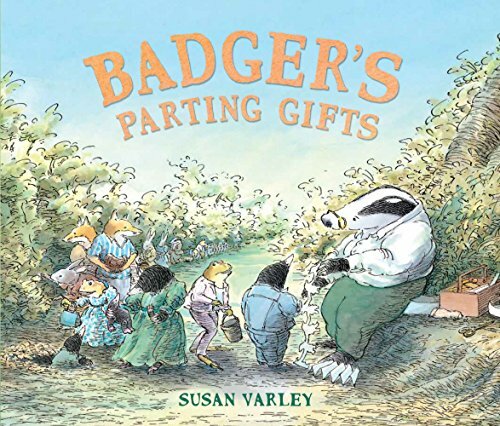 This book helps boys and girls understand that death is a natural complement to life, and that grief and a sense of loss are normal feelings for them to have following a loved one's death. Titles in this sensitively presented series explore the dynamics of various relationships experienced by children of preschool through early school age. Kids are encouraged to understand personal feelings and social problems as a first step in dealing with them. Written by psychotherapist and counselor Pat Thomas, these books promote positive interaction among children, parents, and teachers. 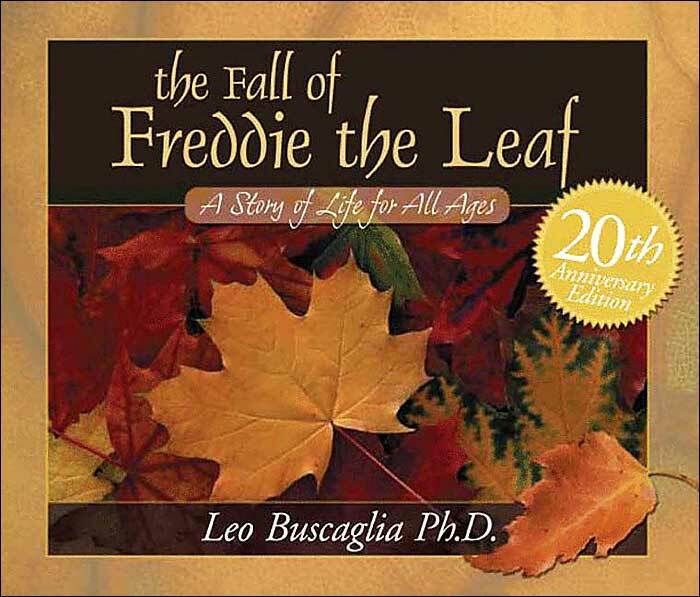 The story lines are simple and direct―easily accessible to younger children. There are full-color illustrations on every page. 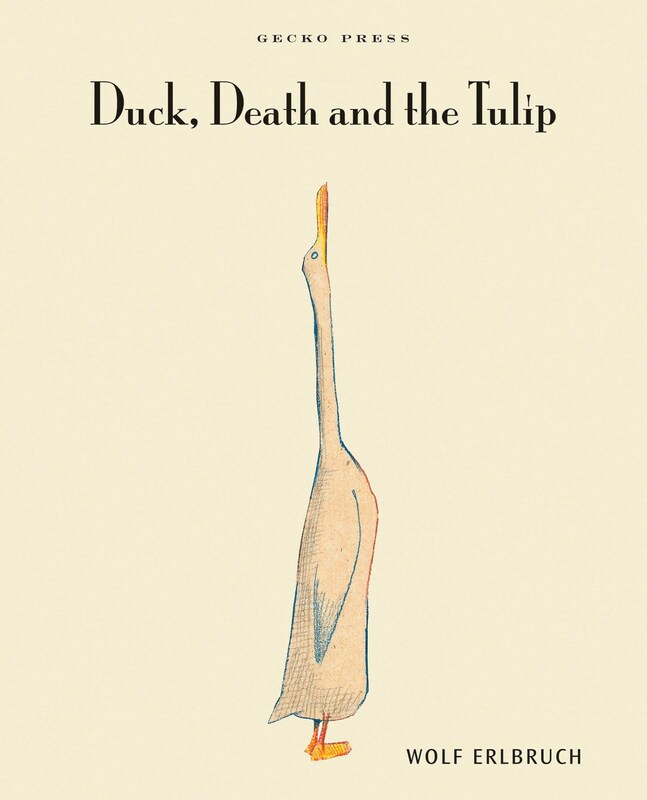 In a strangely heart-warming story, a duck strikes up an unlikely friendship with Death. Death, Duck and the Tulip will intrigue, haunt and enchant readers of all ages. Simple, unusual, warm and witty, this book deals with a difficult subject in a way that is elegant, straightforward, and thought-provoking. 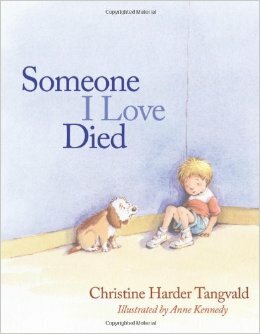 From best-selling and beloved author Christne Harder Tangvald comes an updated and revised edition of her classic book of comfort for grieving children, filled with heart-healing words, fresh watercolor illustrations, and practical resources that help adults guide children through loss. 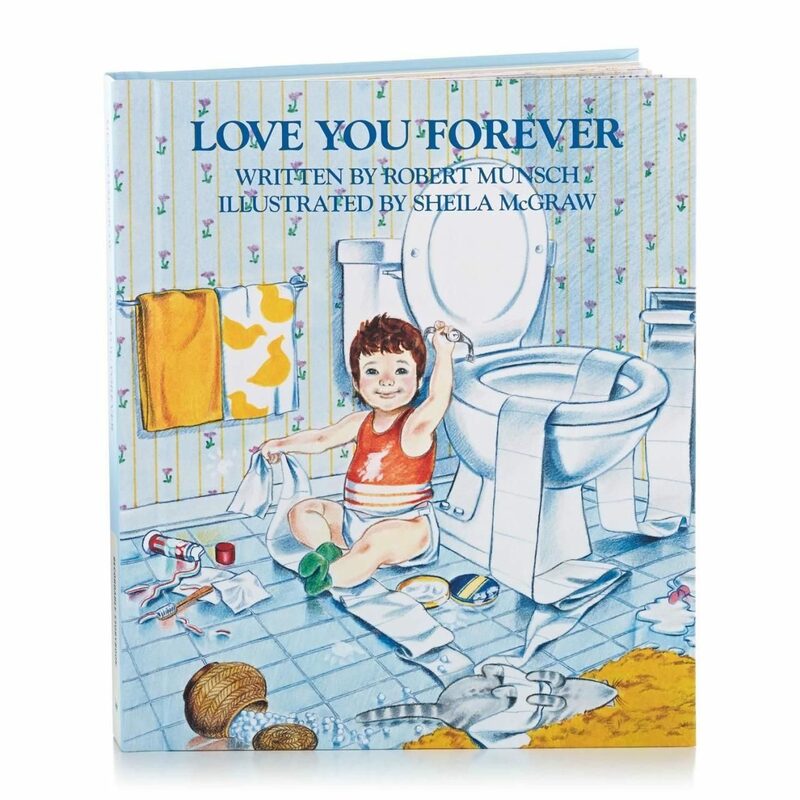 First published in 1988, Someone I Love Died has long comforted the hearts of children 4 to 8 who have lost someone close. It gently leads children through grief with age-appropriate words and solid biblical truth that understands a child's hurting heart. The added interactive resources ensure this book will become a treasured keepsake. Once complete, children create a memory book of the loved one's life. And it offers grown-ups a tool that turns what could be a difficult season into a meaningful time of healing. 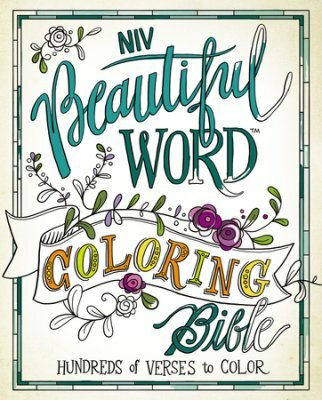 If you have experienced a miscarriage, still birth, or infant loss- this coloring book is for you! It also makes a thoughtful gift for a friend going through the devastating loss of a baby. This collection of designs forms a beautiful and therapeutic tool for grieving. It provides a creative way to express your grief while meditating on the Word of God and filling your mind with truth. It is a beautiful collection of over 25 inspiring pages designed by artists from Alaska to Hawaii, from East Coast to West! The pages include a variety of styles, ink drawings, and digital creations. Many of the artists have experienced miscarriage or infant loss, and on the back of each page they share encouragement for the grieving heart. Said the father monkey to his child, "Someday you'll climb to the tops of the trees." Said the father dolphin to his child, "Someday you'll swim off to faraway seas." From the author and illustrator of I Love You As Much . . . comes this tender lullaby of enduring devotion from a father to his child. From now until always, I want you to know my love will be with you wherever you go. 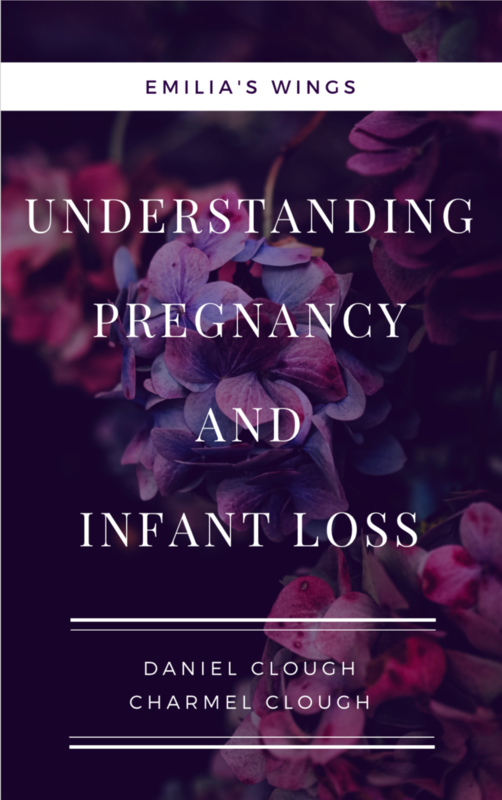 A short eBook to help understand Pregnancy & Infant Loss. 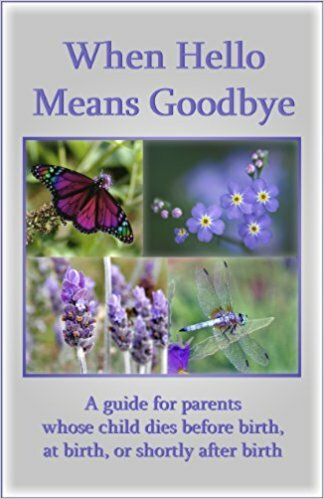 A short eBook discussing What To Say & What Not To Say to grieving families. 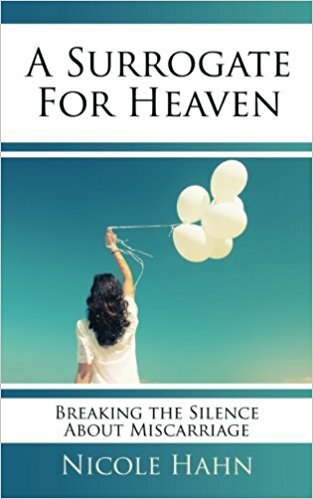 A short eBook listing several ways families can honor their baby in Heaven.